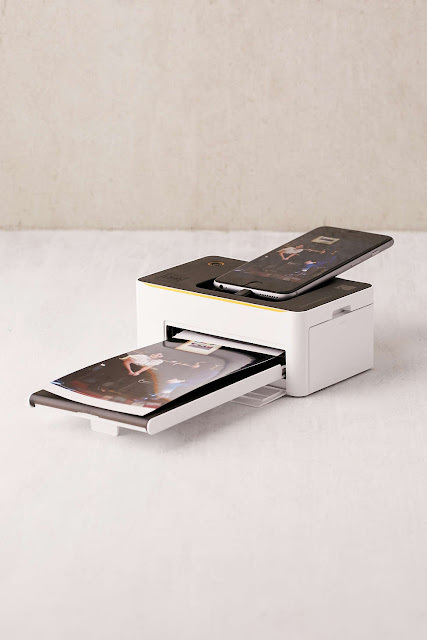 Give your smartphone pics the pharmacy envelope treatment any time, any place with this cordless instant printer and charging dock from Kodak! 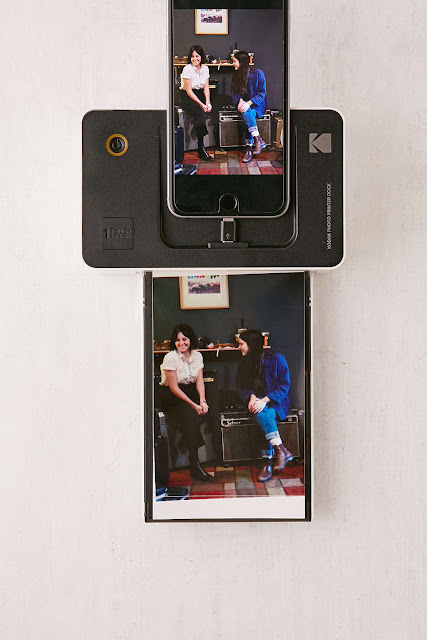 One touch lets you print photos directly from your Android or iOS smartphone in standard 4" x 6" format in brilliant full color or black + white. Pics look stunning thanks to state-of-the-art D2T2 thermal transfer technology that won't ever bleed or fade! Features 5-pin micro USB for Android and an iOS USB adaptor for alternatively printing from an iPhone, iPad, digital camera or USB memory stick. Added bonuses: printer doubles as a cordless charging dock that can power up two of your devices while you wait! Download the free Kodak Photo Printer companion app to apply filters, stickers, card templates + collages to your photos for a totally custom finish! Includes 10 photo sheets + all-in-1 color/b+w ink cartridge to get you started. Additional photo sheets + cartridge refills sold separately.